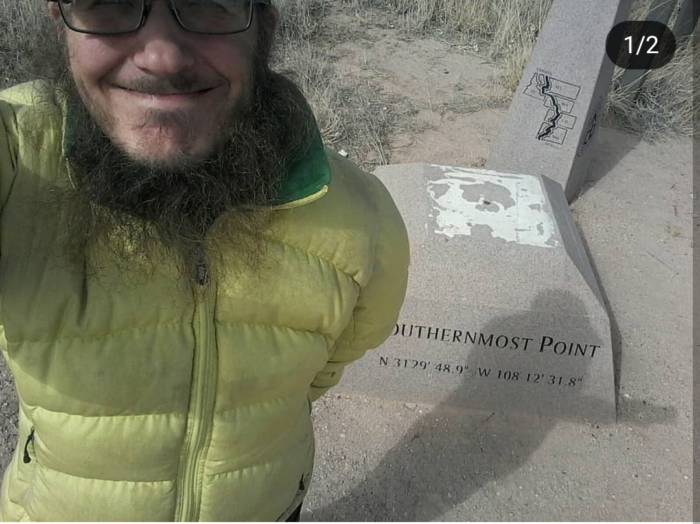 Missing CDT Hiker: Matt Ryen aka "Nope"
Update 4/26/18, 4:17pm MST: Nope is alive! He posted to his Instagram account a short time ago. 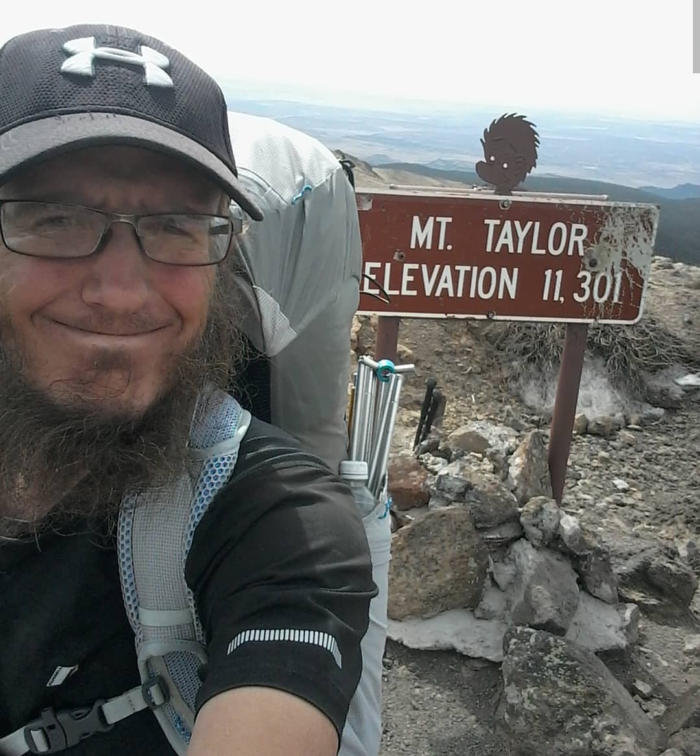 As of April 24, 2018 Matthew Ryen (trail name: Nope) has been reported as a missing hiker to NM Police and SARs. His last known location was on April 10th 2018, 138.2 miles south of Colorado State line, just North of Cuba NM (CDT mile 789.5, elevation 10,387.0) If you see him please call 911, and then notify Lisa or Kyle R immediately. Matt is a caucasian 5’9″ male, approximately 135 pounds. He has blue eyes, a bald head, and a brown beard. He was last seen wearing black short-sleeve shirt and black capri-length leggings. He also has pink Lululemon shorts and full-length black leggings that say “goal digger” down one leg. He carries a yellow puffy jacket, generic not branded, and a black Under Armor baseball-style hat. He has a Big Agnes Fly Creek UL1 rain fly with a Velcro closure mod and ground cover (no tent). 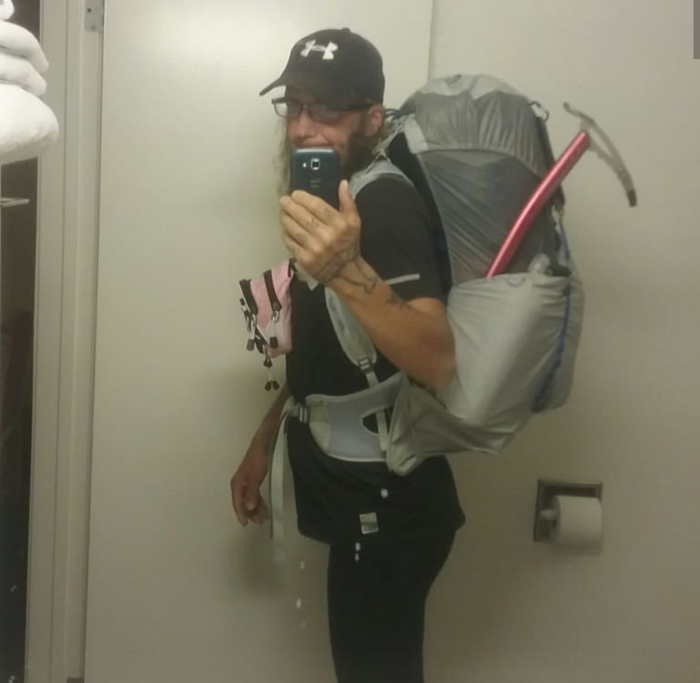 His sleeping bag is a black and red REI Magma 10, his pack is an Osprey Levity 45—grey with blue accents. He wears Keen hiking sandals, carries a Red Camp Corsica ice ax, a BV 450, and a green solar panel. He has a Norse/Viking tattoo on right hand/wrist. I pray that this young man is found alive! So glad to hear that Nope is alive and well!